I received this bag in exchange for a review. All opinions are my own. Find out more information here. What is the Monthly Dapper Club? : The Monthly Dapper Club (a subscription by Harrison Blake) is a monthly subscription geared towards men. 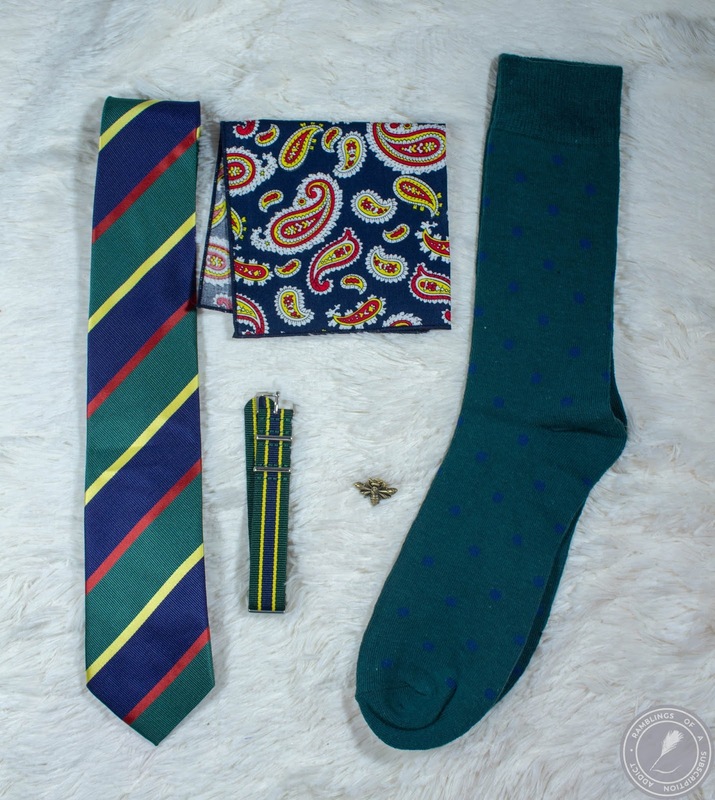 Each month includes a necktie and four accessories. The accessories will be coordinated and easy to style. How Much is Monthly Dapper Club? 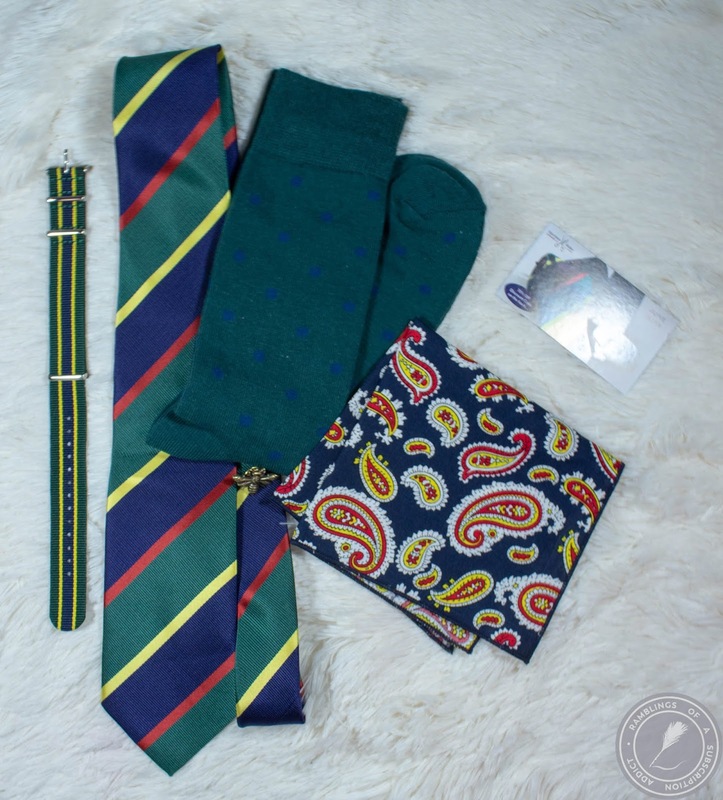 : The Monthly Dapper Club is $25 shipped to the USA and Canada, $40 shipped internationally. Costs go down for longer-term subscriptions. Use SEASON for $15 off your first month. See more Monthly Dapper Club reviews here. You see that info card, yeah, that info card's pics went missing on my drive. Yikes. 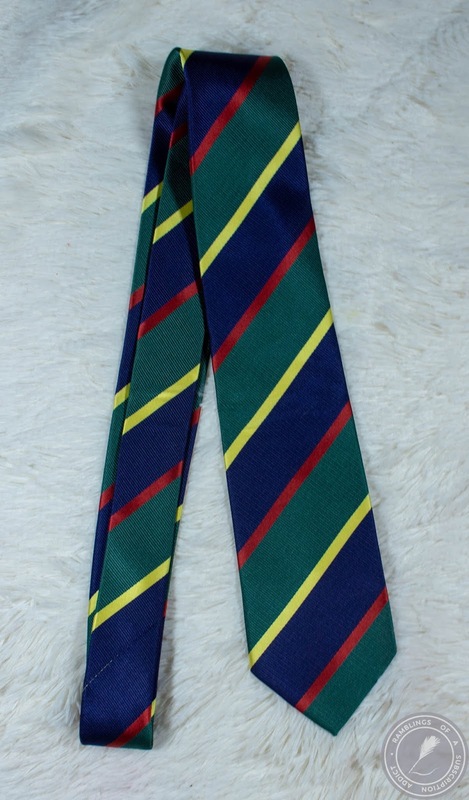 Harrison Blake Striped Tie ($30.00) - I need a stylist to tell me what color/pattern shirt one would wear with this tie. It's not a bad one, there's just a lot of color. 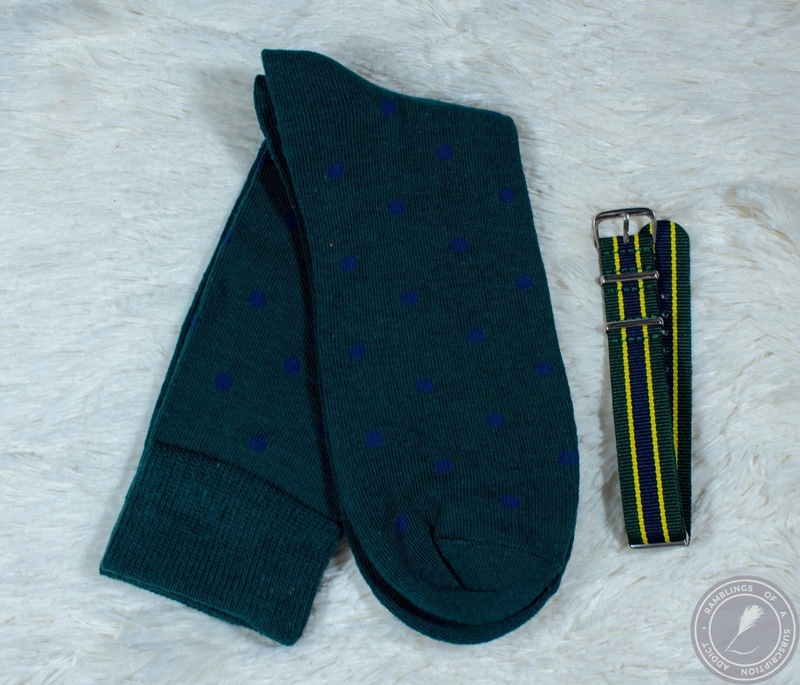 Harrison Blake Blue Dot Socks ($8.00) - These are your basic socks. The blue dots are too much and overall, they're just a good pair of socks that could be worn with quite a few different colors of ties. Harrison Blake Watch Band ($10.00) - Husband has a watch meant for his races and such so this is useless to us, we passed it along. 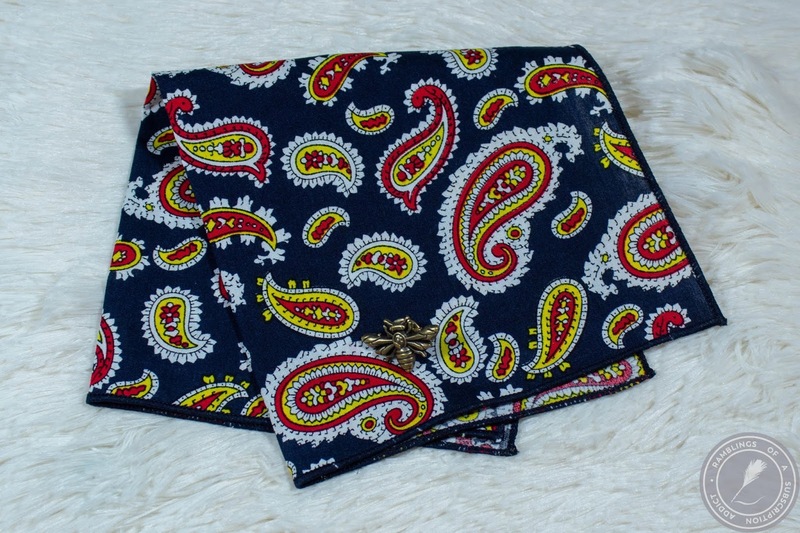 Harrison Blake Paisley Print Pocket Square ($20.00) - Wow, this is a very vibrant pocket square. It does look nice with a more muted tie, not so much with the crazy tie it came with. Harrison Blake Vintage Bee Lapel Pin ($20.00) - This was passed along only because husband doesn't really wear lapel pins. This bag was valued at $88. Overall, the colors were a bit much and the accessories weren't quite husband's style. I do wish they would go back to including the tie bars, I liked getting those.